SME Medical Management, formerly Serenity Medical Evaluations at (888) 776-5524 is a group of Doctors who work with medical cannabis patients, each MD or DO is experienced in talking to patients about the benefits of Medical Cannabis. They provide qualified medical marijuana evaluation services for our patients suffering from chronic pain, the side effects of chemotherapy, degenerative arthritis – and more. Call us, or visit online or in person at 3845 La Sierra Ave. Suite 200 D in Riverside, CA or 3757 Riverside Dr. Chino, CA 91710. As a medical marijuana practitioner, we offer DOCTOR RECOMMENDATIONS ONLY! - We do not sell Cannabis. We are a licensed medical marijuana physician, providing the necessary medical marijuana referral for you to obtain your card enabling the purchase of medical Cannabis medicines and products. 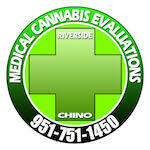 A team of the finest medical marijuana doctors for Riverside, CA patients, SME Medical Management has individual Doctors, each committed to working with legitimate medical patients, teens and adults who have proper medical records to validate their medical issues. We are NOT a medical marijuana dispensary but, instead, service the community as a qualified Cannabis doctor to assistant with securing a necessary Cannabis card for your Cannabis products and medicine. For your medical marijuana doctor in Riverside, CA, turn to the professionals at SME Medical Management by calling (888) 776-5524. We are a certified and licensed medical marijuana physician and invite your call for a free evaluation estimate or to set an appointment to come in for your exam. We proudly serve Riverside, CA, either at the Riverside OR Chino locations. We Are Dedicated To Bringing You Quality Services.